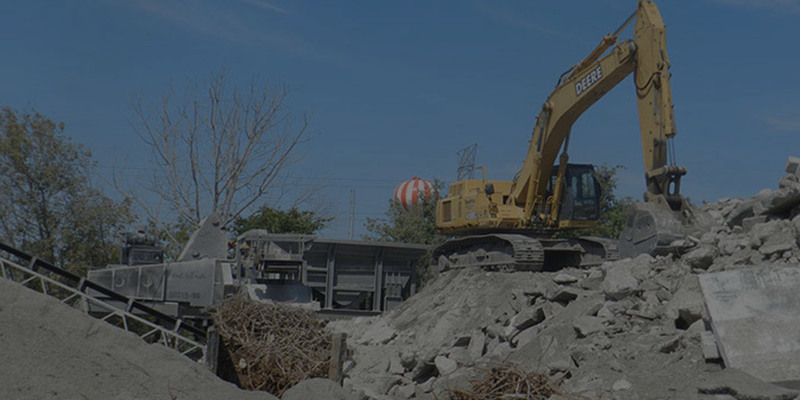 Our onsite crushing and recycling is therefore the complete solution for your construction waste problem. Our grooving head is positioned on the undercarriage of very efficient, high production machines that are capable of grooving runways and bridges. 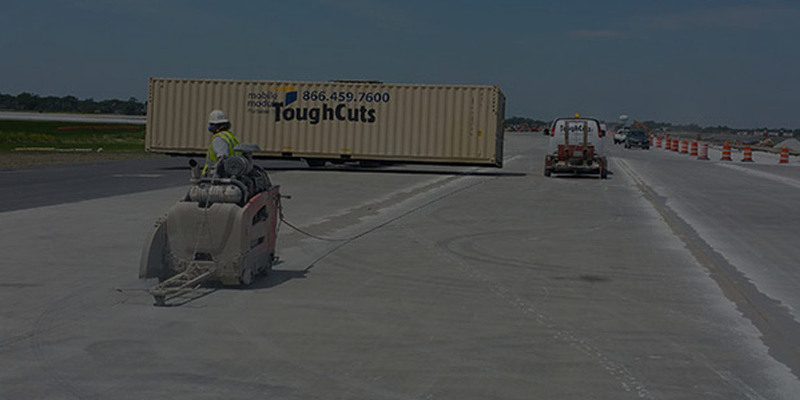 Tough Cut also has a Miscellaneous Concrete Division, which includes Slip-form Curb & Gutter and various types of sidewalks, various types of wall and Poured Cured Concrete (PCC) Pavement. welcome toTough Cut Concrete Service, Inc.
Tough Cut is a full service certified as a WBE/MWRD/DBE and DEMO DBE in the state of Illinois and DBE in the state of Indiana and certified (DBE) Florida Company equipped to handle all of your needs; Excavation & Demolition, Bridge Deck Grooving, Onsite Crushing & Recycling, Grinding, Saw Cutting, Green Saw Cutting, Wall Sawing, Core Drilling, Curb Cutting and Sealing Equipment. "2015 CDA Project of the Year Award for concrete at O'Hare Modernization Project"
We have just improved our service ability to handle your on-site crushing needs, with a Fintec F1107 Track Jaw Crusher and Conveyer; a 4 Axel 4230 McDonald Jaw Crusher and a Viper 301 3-way Split machine with the ability to service your needs on-site. 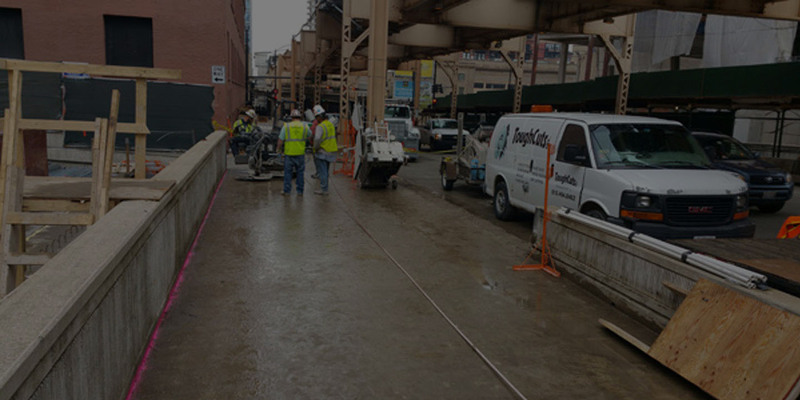 Tough Cut also has a Miscellaneous Concrete Division, which includes Slip-form Curb & Gutter, and various types of sidewalks, various types of wall and Poured Cured Concrete (PCC) Pavement. Inching along on the Jane Addams Tollway in construction land, two questions arise. Which movie dystopia is the dusty landscape dotted with hills of rubble more reminiscent of -- the gritty highways of "Mad Max" or the decimated District 13 in "The Hunger Games?" And what are those piles of rock for, anyway? 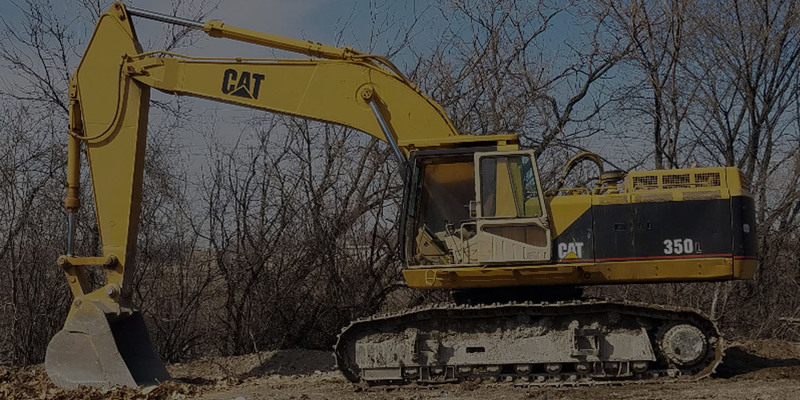 Excavation, demolition, building, and all big projects in construction produce a lot of waste. And such waste is not ordinary — it is composed of a big chunks of useless concrete, boulders, wood, and metal. This waste used to be thrown in dumpsites. Today, doing that is strictly prohibited. Thanks to the increased environmental awareness and more laws that govern it. Such waste has become a problem for some contractors. For us this is not a problem because we have onsite crushing services and thanks to the crushed materials, we have onsite recycling. This solves the issue of where to dump the unneeded materials. 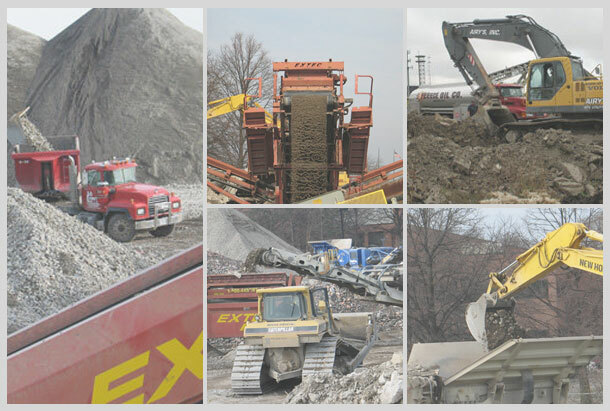 Our onsite crushing and recycling is therefore the complete solution for your construction waste problem.